The event of UTSAV (the launch celebration) which happened at Cannes was all over the internet. It’s a transgender dedication to vegetarianism. It’s a book in gold case releasing close to Diwali this year and is about Indian festivals, ceremonies & rituals. A kaleidoscope of festivals with lots of delicious & holy recipes cooked on rituals or the taste of India in one book with a panorama of beautiful photographs. It is also a tribute to motherland and everyday is a festival according to Vikas where we should worship our motherland like we worship our mother. 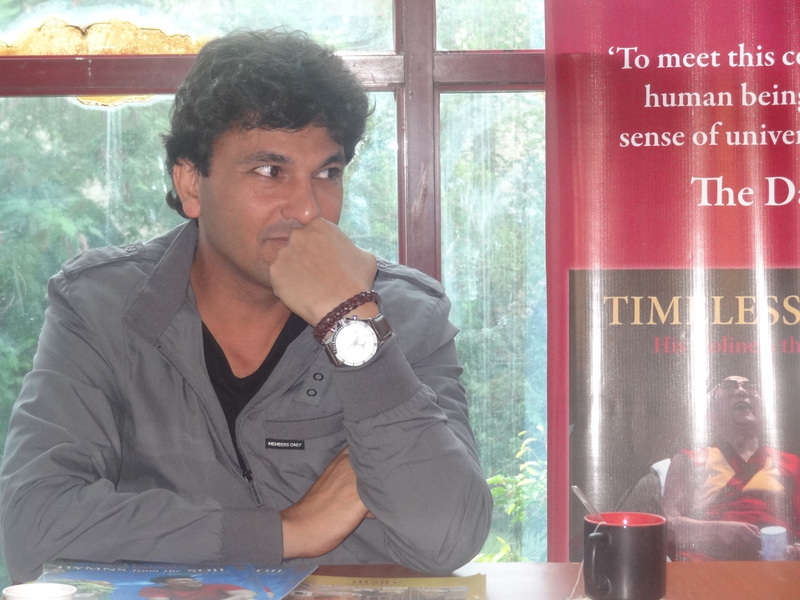 The discussion was mainly about Vikas Khanna’s new book called “Timeless Legacy” which is a reverence to His Holiness the Dalai Lama. Dalai Lama is a gift to the world, his blessings & aura, his reflection so pure & spreading the light or the lamp of showers of the flowers from his pure hands on the person he bestows from his heart. The book is gorgeous and is in 5 colours. I am really looking forward as to when it will be launched and when I will get to feel & touch the auspicious pages. At the interaction Vikas spoke about his love for eating & mentioned he is not fussy about food. He loves to eat & bake. 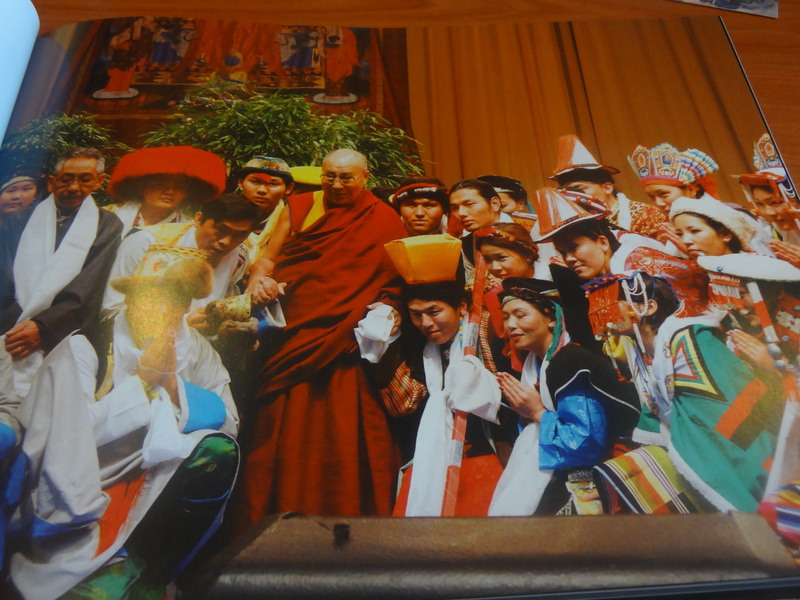 There is a collection of beautiful photographs in his book taken by him & his team with pictures of young Dalai Lama. Then there are about 80 questions which he asked to Dalai Lama to know him as a person and also encapsulating his 80 years. There is just so much of him in the book to be read & learn about. Poetry & beauty is all in Vikas’s book who walked 22 kms to a place in Chennai & after that he fainted but the hymns or the chants made him more holy. He doesn’t follow Buddhism but celebrates it in his own way. It’s the lucky book which is so gorgeous & lovely with so beautiful pages, pictures & scriptures. His hands on the chef’s head giving all his blessings with lots of tender care & love on him; it’s an auspicious & sacred book with the first page written on it “Tenzin Gyatso” (14th Dalai Lama of Tibet). 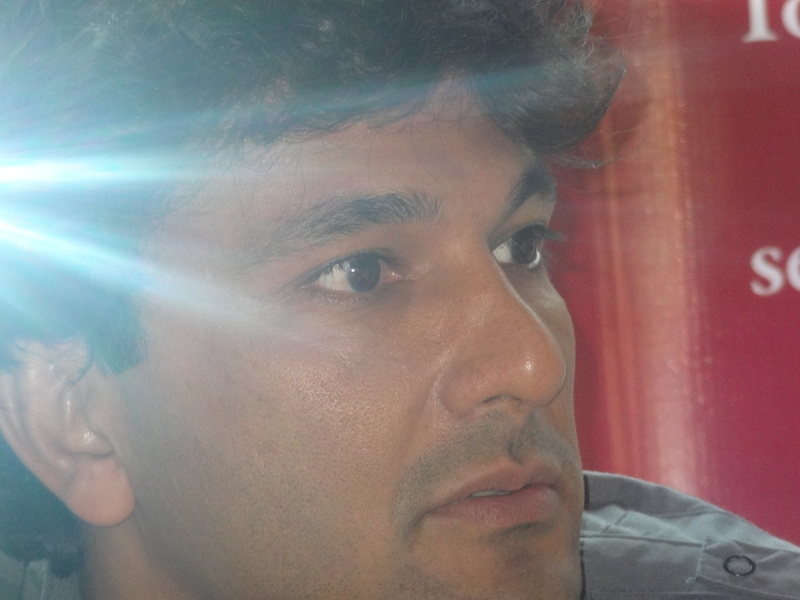 Now some torch of enlightenment through Vikas Khanna. Vikas is a philosophy + culture & not people followers. He loves cooking, food, talking from all his heart, believes in rituals & ceremonies and loves to take blessings from elders. Hard work is his obsession which he vows & preaches. According to him, art stays & artist vanishes. He is himself a Michelangelo painting fan. His notion of the circle of life- Nothing as death, it’s a changing form. Failure is no death. It can only change & not fail. Vikas loves Ondhio which is a big pot of disintegrated vegetables & tossed in a pot of goodness for a health pack of nutrition & peace once you finish it up. Dalai Lama is very famous in America as his book sales is equal to water sales and so much that he can stop traffic there. 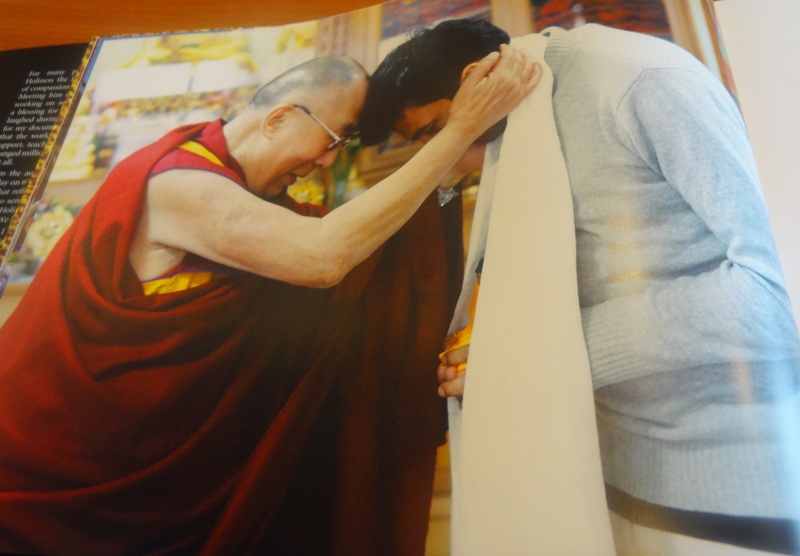 Dalai Lama kissed Vikas Khanna’s forehead and left & in his kiss he wrapped all his love & blessing for the chef. He is so lucky I must say. 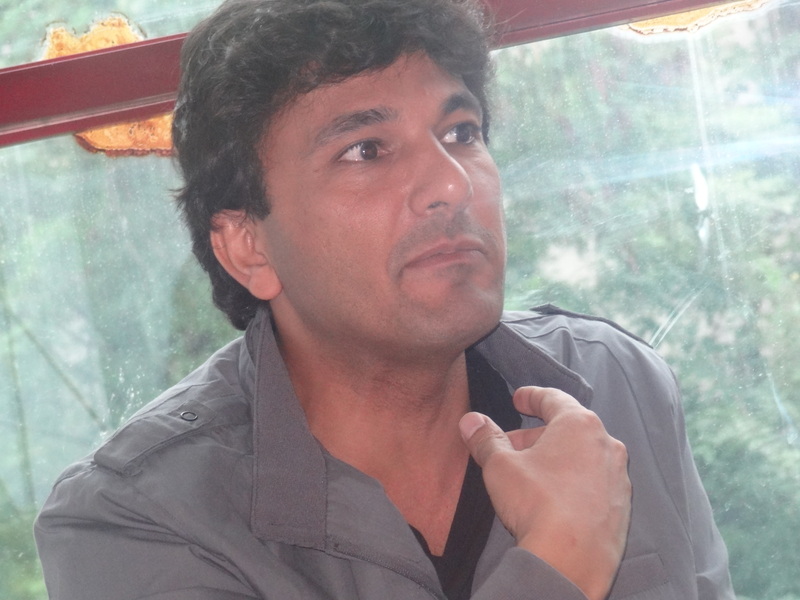 It was Vikas Khanna’s dream to go to Himalayas, Tibet, Nepal, Bhutan & Burma researching for food & culture. He also loves Himalayan cuisine. Return to the rivers is the philosophy. It’s the circle of life & water both and in the book there is a beautiful foreword saying ”Thank you for capturing & defining culture & food”. No presence of fakeness; only the truth prevails. Every book of Vikas born- it’s like a child birth to him. Amdoh is the birthplace of Dalai Lama. He is a common, poor monk but with knowledge & enlightenment to the purest of people his saying touches hearts & the blessings people’s lives. Power to change it all is within you. When Vikas was a child he used to make Ganesha statues out of atta (wheat) which his grandmother loved. He has got that pure gift & his hands are full of projects with hope & tears. 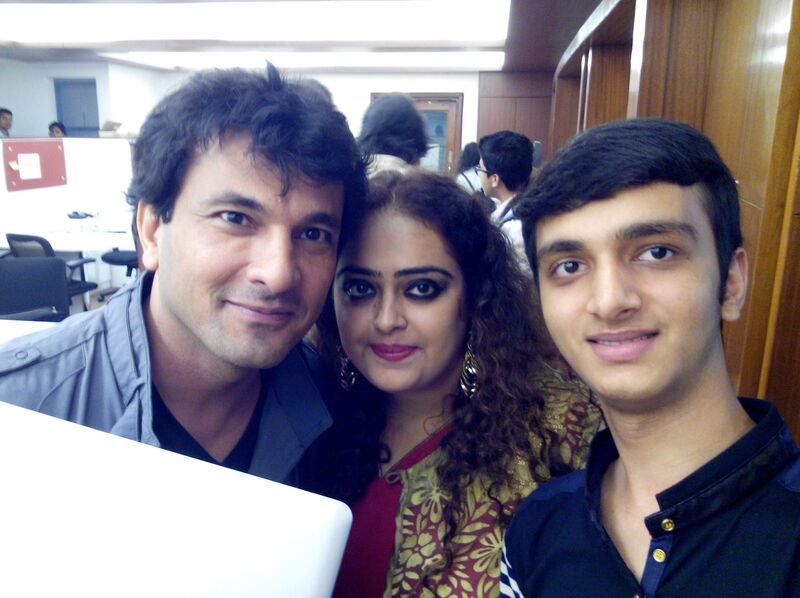 His mom is fond of him & loves him too much, the brainy Chef Vikas Khanna with super powers of mommy’s kadhchi & ladle and his roots Indian to make & create lots of books and copies for us to read, imbibe & create and feel his love in our cooking methods. Ans- E.T. It’s the story of an alien on a mission to search home & finding his own identity. Q. What’s your favourite music? Ans- The sound of early morning sparrows. Q. What does betrayal mean to you? Ans- When you think of one self & not others. According to the Chef, the eyes don’t see but it’s the mind that sees & decides what is right & what is wrong. Heart only finds what is beautiful, pure & true. Also for him moms are the heroes. Mothers transcend cord which can never be disconnected according to him. Mothers have the smell, power & andaz of measure. The gift with lots of patience, tolerance, perseverance, blessings & facing all hardships & power of a child’s growing up years and his rebels & challenges and all through thick & thin she stands like a pillar with lots & lots of courage. We should make them proud like Chef did his way “Mitti Di Laaj Raakhi”. He is our Indian hero, the great master chef & like a renaissance artist he is disciplined & his holy arts & cooking knows no boundaries. He is disciplined & a young head with positive thought of food.